Osprey Publications Ltd has released World War II Tactical Camouflage Techniques as Number 192 in their Elite series. It is a paperback book with 64 pages. Included with the text are black and white photographs, color illustrations, informational charts, author’s notes and detailed captions. It has a 2013 copyright and the ISBN is 978-1-78096-274-0. As the title of the book states, the book details World War II tactical camouflage techniques. The books’ text is well written and extremely detailed. Gordon L. Rottman covers the various camouflage techniques of the United States, Great Britain, Germany and the Soviet Union very well. He discusses the various types of camouflage, the various materials that were used for various camouflage purposes. This ranges from camouflaging individual soldiers and their gear, to their vehicles, armor and fixed fighting and gun positions. Rottman also discusses using decoys to hide actual vehicles, positions and movement. That was an area that I personally did not think of as being camouflage but when it is explained it makes perfect sense as to why it would be considered a camouflage technique. Another area that Gordon L. Rottman discusses is the mistakes made in camouflage to where it actually does the opposite of the intended purpose and draws attention to the item as opposed to hiding it. An area I found particularly interesting was where Rottman discussed how to make false positions look real and lived in by using various deceptive techniques. As I read through the text I realized that several of the techniques are still functional and in use as of today. This is a well written history that will be of great use and interest to the well-seasoned and knowledgeable World War Two camouflage technique historian or the individual that is new to this subject and wants to learn about it. Given the times we live in and the frame of mind of a percentage of the people, at least here in the United States, I feel that this volume would also be a benefit to the “Prepper” or “Doomsday Prepper” type of individual or individuals due to its discussion of how to hide ones equipment and one’s self. As I read through the text I didn’t notice any spelling or grammatical errors. Grammar and spelling might not be an important factor to everyone however it is something that I take notice of and pass on my findings. I feel that if the text is well written then it shows that the author has taken the time to be a professional with their writing. Anyone wanting to add an excellent reference and history book on World War II tactical camouflage techniques to their personal library will be pleased with this very informative and interesting book. There are a total of 46 black and white photographs included in this volume. There are no color photographs featured in this publication. They range from wide angle photographs to close-up detailed photographs to images that were obviously staged for the photographer. I appreciate the fact that many of the featured photographs are new to me as opposed to the same old over used photographs that tend to turn up. That fact alone makes this volume even more exciting for me to sit down and read and I am sure that others will share the same thoughts as me on this. The majority of the photographs are clear and easily viewable, however there are some that have an out of focus look to them and some appear to be too dark, and some appear too light, which is typical for photographs of that period of time. With that said the quality of the photographs is no fault of the author and takes away nothing from the book. Gordon L. Rottman has stuck to the title of the book and chose photographs that are specific to World War II camouflage techniques, European, and did not include photographs that strayed from the main subject of the book. There are several excellent photographs that will help out the armor, soft skinned vehicle, weapons, diorama and figure modeler. The majority of the photographs will prove to be a wealth of information due to the details they contain. The captions are well written and are very detailed and explain the accompanying photographs and color illustrations in great detail eliminating any doubt as to what is shown and taking place in the accompanying photographs and illustrations. The captions go into very specific detail in regards to the various camouflage patterns, colors, techniques (points out both the good and the bad) and other such pertinent information. I was pleased with Gordon L. Rottman’s captions as they are very helpful to the reader due to their detailed content as opposed to other captions I have seen that are very brief and lack detail. As with the text I didn’t notice any spelling or grammatical errors. This is an excellent reference book that contains many subject specific photographs and illustrations and well detailed captions. It details the tactical camouflage techniques used by the United States, Great Britain, Russia and Germany during World War II very well. This volume will be of particular interest and beneficial to anyone interested in World War II and tactical camouflage techniques as well as the military armor, soft skinned vehicle, weapons, diorama and figure modeler. I also feel that it would be of a benefit to the “Doomsday Prepper’ or “Prepper” type of individual or individuals. I would have no hesitation to add other Osprey titles to my personal library nor would I hesitate to recommend this book to others as it will be a welcome addition to one’s personal military reference library. Verdict: This is a very nice reference book of World War II tactical camouflage techniques that is well researched and written. Interesting title. I'll have to get a copy. 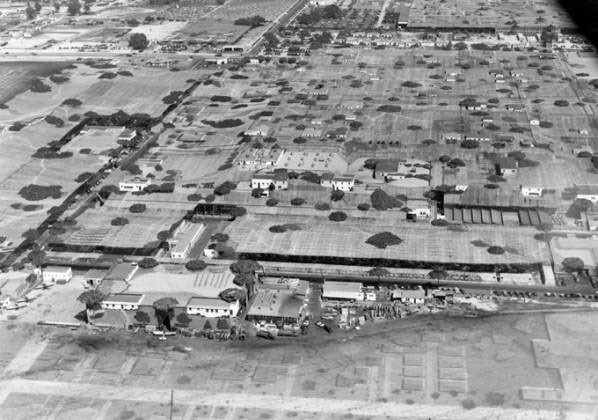 During WW II, the entire Lockheed-Vega plant, in California, was completely camouflaged with a giant burlap tarp, complete with shrubs, houses, etc. : Howsaboudat for some fancy-schmancy concealment?